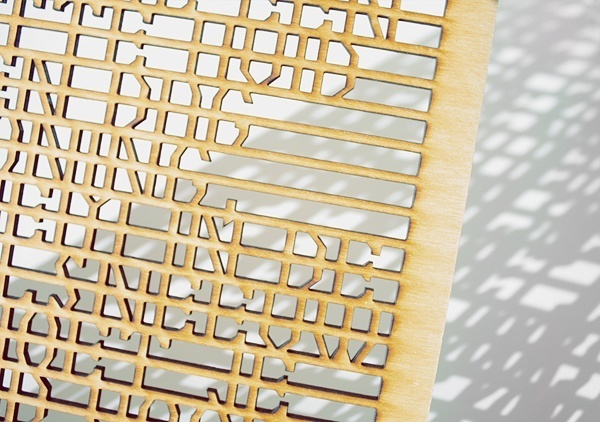 A lasercut type specimen showcasing a modular typeface for usage with solid materials. This is an experiment searching for lettershapes which can be cut out of any type of material while not compromising the rigidity of the material and keeping the typeface legible. This specific specimen tells a dreamy fairytale, contrasting with the modular construction of the type and the material. 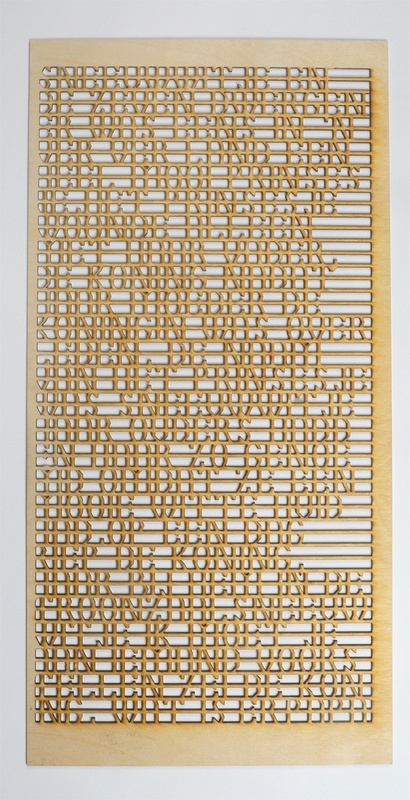 A lasercut type specimen showcasing a modular typeface for usage with solid materials. This is an experiment searching for lettershapes which can be cut out of any type of material while not compromising the rigidity of the material and keeping the typeface legible. This specific specimen tells a dreamy fairytale, contrasting with the modular construction of the type and the material.